Russian Prime Minister Dmitry Medvedev says that despite earlier hopes and Barack Obama's promises, Washington’s position on the missile shield is still driving the two countries apart. “No ease in relations over missile defense, no flexibility arose. We stand at the same positions – the position of the United States is one, the position of the Russian Federation is, unfortunately, different. 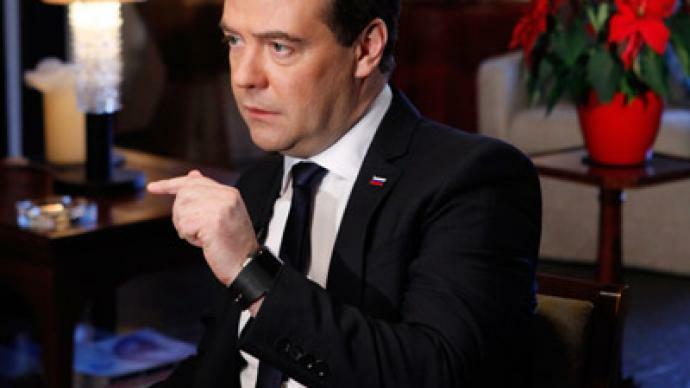 And the convergence of these positions is not happening,” Medvedev told CNN. “We clearly understand that if we do not have guarantees such as the pairing of our programs, that means that missile defense could also work against the Russian nuclear arsenal. What does this mean? This means that the parity, which we recorded with President Obama by signing the New START treaty (a very important and very helpful treaty, by the way: I think this is the achievement of the so-called reset), [the parity] is being cracked by that, because the missile defense – is a direct continuation of nuclear offensive capability, combat nuclear weapons,” emphasized Medvedev. Discussing the ongoing civil war in Syria, which has seen around 60,000 people killed there during almost two years, Medvedev said that Syrian President Bashar Assad's chances of retaining power are getting "smaller and smaller" every day. "President Assad made a mistake in carrying out political reforms. He had to do everything much more quickly, attracting to his side part of the moderate opposition, which was ready to sit with him at the same table. This is a considerable mistake, maybe a fatal one," said Medvedev adding that Assad's days could be numbered. Medvedev reiterated calls for talks between the government and its foes and repeated Moscow's position that Assad must not be pushed out by external forces. “Therefore, the task of the international community and all countries – and the United States and the Europeans, and regional powers, such as Saudi Arabia, Qatar and other countries – to put parties together at the negotiating table, but not just demand that Assad should leave, and then he is either executed like Gaddafi, or carried on a stretcher at the hearing, as they are carrying now Hosni Mubarak,” concluded the PM. 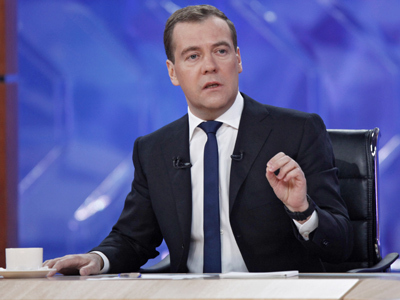 ­Medvedev was also asked about Russia’s recent decision to halt US adoptions of Russian children. The law was motivated by cases of mistreatment of Russian orphans adopted by Americans, and wasn’t retaliation for US actions in the case of Sergey Magnitsky, said the PM. “A big number of American families, who have adopted Russian children, provide them with proper care, training and education. In this sense, their actions are worthy of the highest praise, it is a highly moral behavior. But, unfortunately, in our country we know a large number of cases, when children adopted by American parents, were killed, tortured, lost their health in the United States. 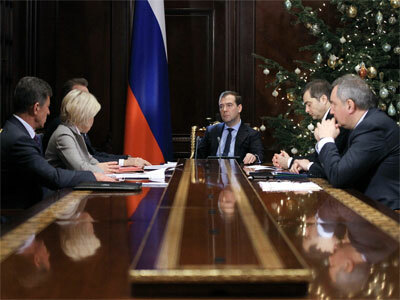 Even one such case would be enough to make a draft for discussion,” said Medvedev. The so-called Dima Yakovlev law, named after a Russian boy who died of heatstroke after being left in a car by his adoptive American parents, contains ban on US citizens adopting Russian orphans. On more general terms it bans entry to Russia for those Americans, who are somehow involved in violations of human rights or crimes against Russian citizens. President Putin signed it on December 28, 2012. Four days later it came into force. 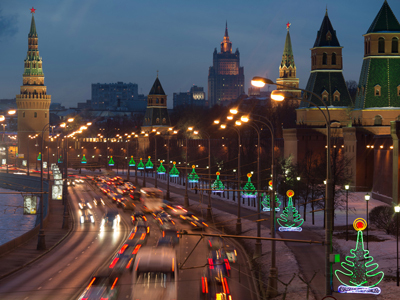 The adoption of the law caused a mixed reaction among Russian politicians and public figures. The PM said that the adoption ban is not connected with Washington’s Magnitsky Act "neither legally nor factually." 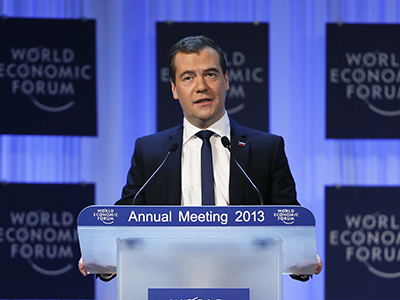 “This law expresses concerns of the Russian parliament, the Russian State Duma and the Federal Council over destiny of our children… Therefore, despite the fact that many saw it as actions targeting aimed at individual American citizens, who want to adopt Russian children, there’s nothing like that in here,” Medvedev told CNN. “75 per cent of Russian citizens are against foreign adoptions,” underlined the PM. Medvedev believes that Russia should do everything to ensure that the country doesn’t have any un-cared for orphans. Russian citizens should be motivated to adopt Russian children who don’t have parents and create right and proper conditions for them, he said. 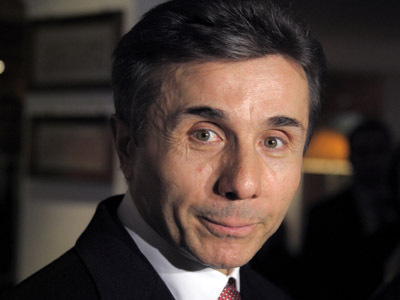 “We should take all the necessary decisions so that there are no orphans in Russia, the US does not have such a problem. Many European countries do not have this problem. We have a good society already and we have people who are well off enough, they are able to give food and shelter to our children. 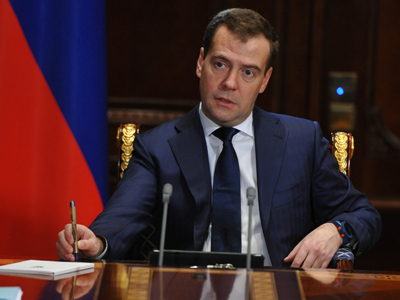 This is the reason that stands behind the decisions we have made,” said Medvedev. “I believe that Congress made a mistake, when, together with the abolition of the Jackson-Vanik amendment, they adopted the Magnitsky Act. Regarding the case itself I’ve already told you what I think of it. Speaking of acts of Congress, I think this – generally it’s very bad, when a foreign parliament decides on another state,” he added. The PM has criticized Washington's move to sanction a number of Russian officials for alleged crimes, which no court has found them guilty of. “Each country has the right to deny any country’s citizen an entry visa to its territory. This is something normal, something that corresponds with international conventions, without having to explain the reasons for it. The United States could and still can prohibit any Russian official’s entrance to America, the same way they can examine their accounts and whatever else they have in America. This is exactly what Russia can do as well. But when it becomes a public campaign, with Congress saying, it will draw up a list of individuals who’ve been involved in a crime, what do you think it is, if not an extrajudicial execution that convicts these individuals without any trial or prosecution,” Medvedev said. Speaking of Magnitsky’s death, Medvedev said he was ‘sincerely sorry’ for him and other person, who died in prison. But PM had an "absolutely different evaluation" of the late lawyer’s actions in the capacity of his work, saying that he had never fought corruption and was "just a corporate accountant and a lawyer". Sergey Magnitsky died in a Moscow prison in November 2009. He was remanded in pre-trial detention on charges of aiding a major tax evasion scheme. A number of prison staff were fired and the former deputy chief of the prison doctor Dmitry Kratov, where lawyer Sergey Magnitsky died, faced trial on accusations of negligence. But a Russian court acquitted him on December 28, 2012, as a judge ruled there was not enough evidence.